If you live in South Beloit, IL, Roscoe, IL, or Rockton, IL and need new wheels, let the team at Jack's Tire Sales & Service help. Our selection of custom wheels is second to none, and it's easy to find the perfect set for your vehicle in our showroom. A new set of wheels can make all the difference in your car's performance as well as its style. Just imagine how great your car will look with wheels that showcase unique spokes or how awesome your truck will look with a flash of chrome. You'll love the way these wheels look and feel on your vehicle. If you’re uncertain of your wheel’s measurements, our team can help. We’ll answer your wheel fitment questions and help you find the best wheel for your vehicle. Wheel prices vary by brand, style, vehicle type, use, and seller. 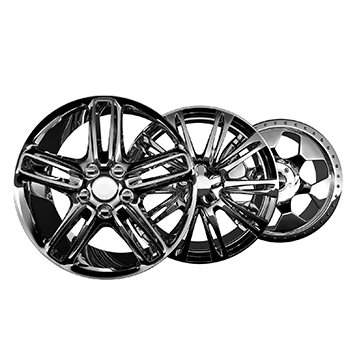 For example, chrome wheels and custom wheels are more expensive than regular car wheels, and large commercial truck wheels tend to be more expensive than regular pickup truck or SUV wheels. Why buy wheels from Jack's Tire Sales & Service? We know a lot about wheels. Our team can identify wheels with hub diameters that fit your car’s axle and install new wheels quickly and correctly. We can also help you find wheels with the correct bolt patterns for your vehicle. If you’re in the market for a striking custom wheel, we can even help you find the right design. Whatever type of wheel you purchase, our dedicated and friendly staff is happy to help you with the installation. We're committed to serving you with the best in wheels. To ensure that we stay at the forefront of the wheel, rims and tire industry, our team at Jack's Tire Sales & Service is regularly given detailed instruction on all of the latest in applications for new custom wheels, rims and tires. If you are in the market for a new set of performance tires in South Beloit IL, custom wheels or rims, then there is only one answer: Jack's Tire Sales and Service. Give us a call at (815) 389-9849 to talk to one of our industry experts and to schedule an appointment.